With this album, the Hits series finally went stereo, and with the new sound came the red label, already a feature of the series in Australia. 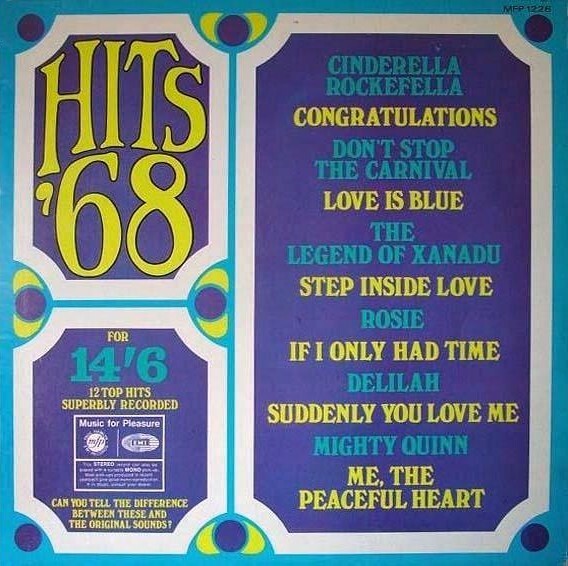 This is another LP rumoured to feature a pre-fame David Bowie on vocals (specifically on "Suddenly You Love Me") but in truth, it's almost certainly not him. 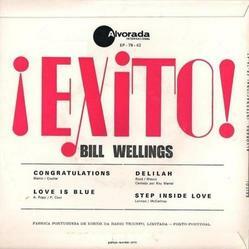 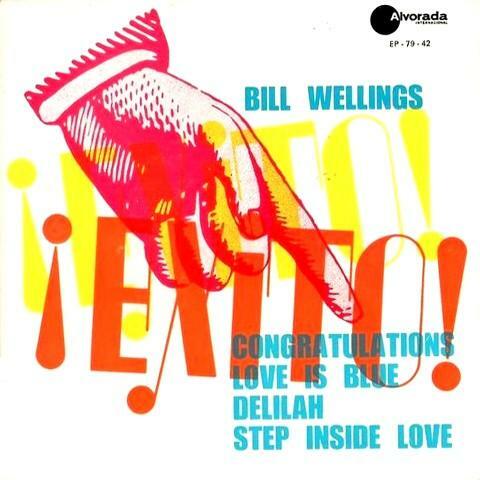 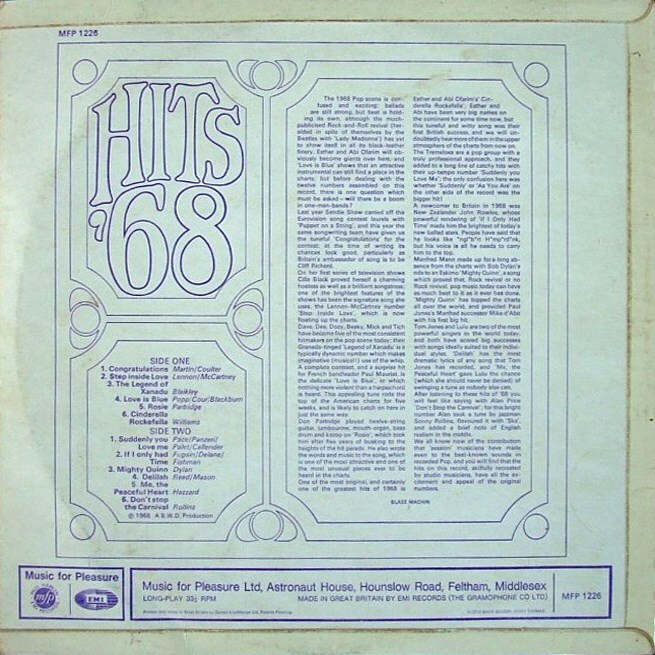 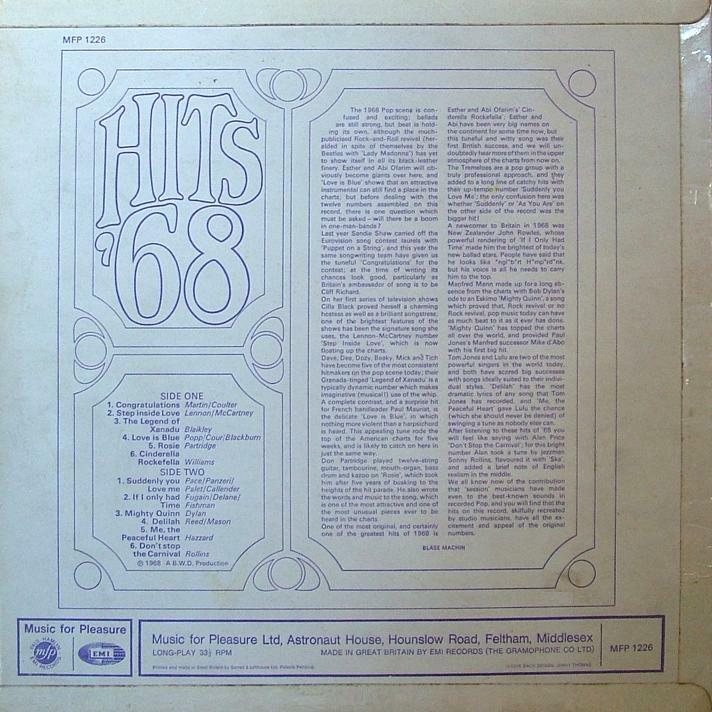 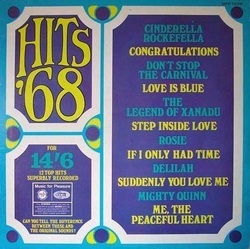 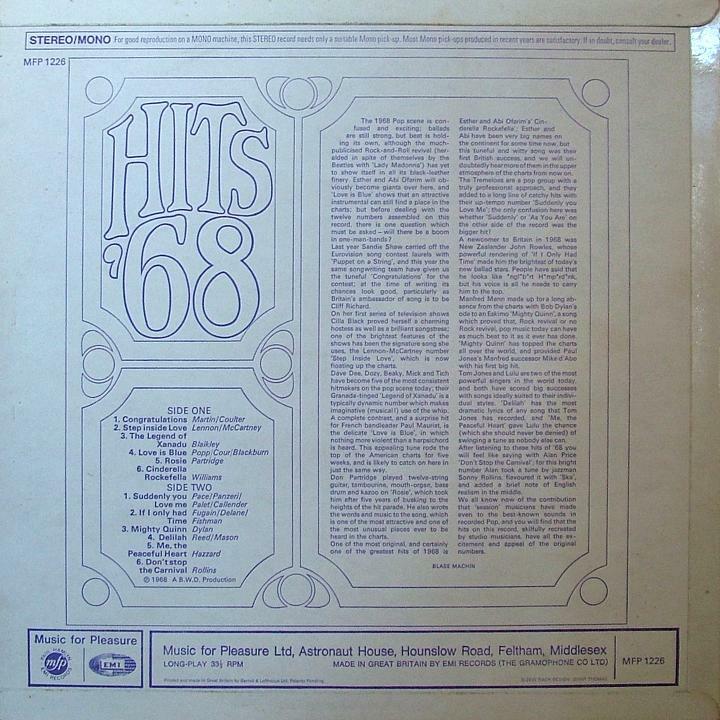 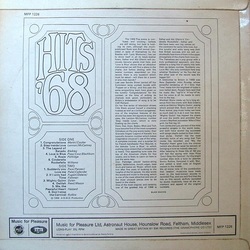 Note how the title and cover refer back to Hits '67 (the artwork is a mirror image of the earlier LP, in different colours). This highlights the slow turnover of these albums - there had been only two more installments in the intervening year - and the title had the unfortunate effect of making this appear to be an annual round-up, at least after December 1968 had passed. 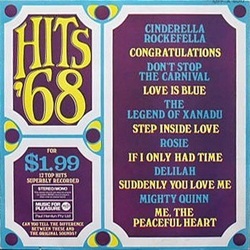 * This date was provided in Beatles Monthly Feb 1989. 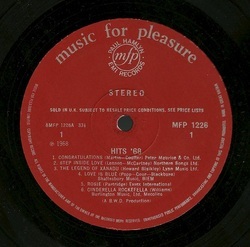 The album was released in Australia on MFP, and had $1.99 incorporated into the artwork. 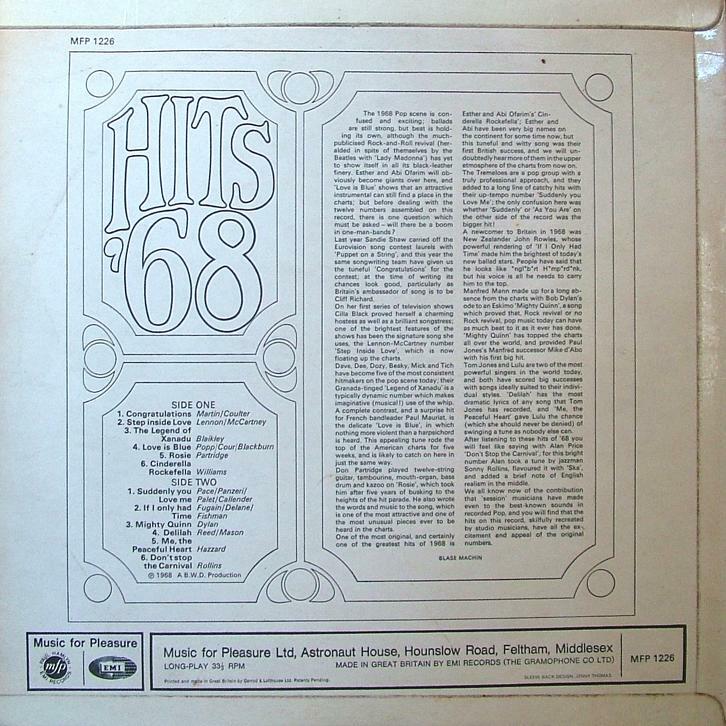 The sleeve is known in two different forms: the title on the left-hand copy is given with a neat 3-D effect on the lettering, whereas the one on the right is not. 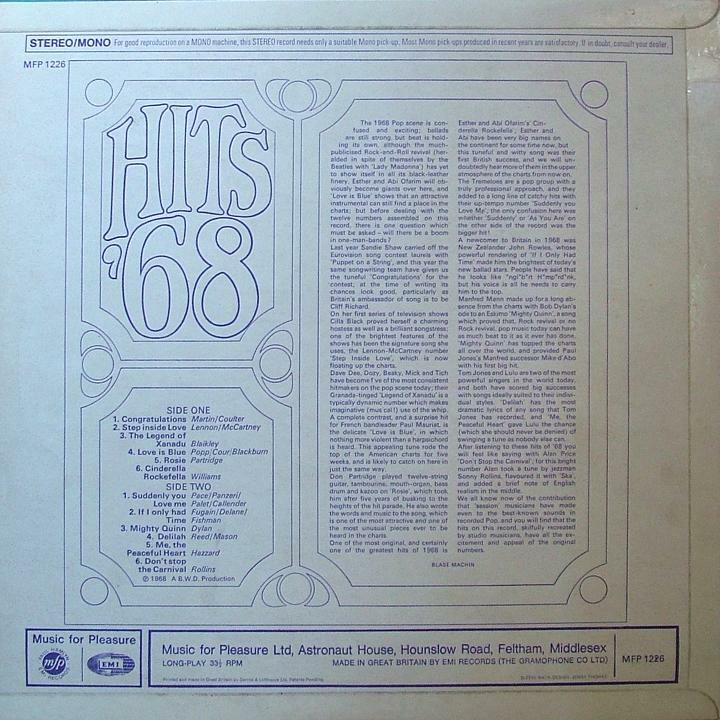 The catalogue number is MFP 8017. 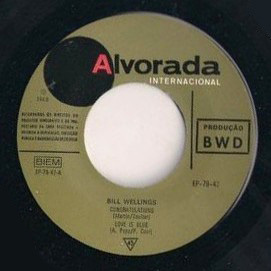 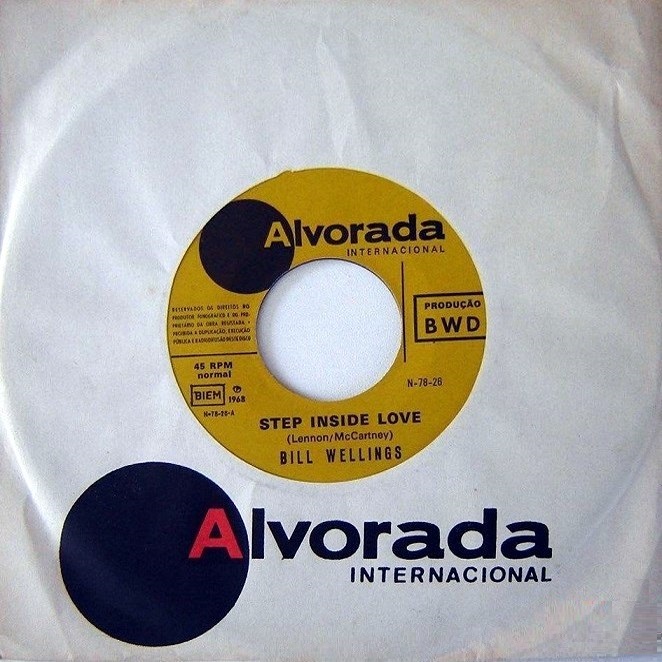 The catalogue number is EP-79-42, and the label is Alvorada.